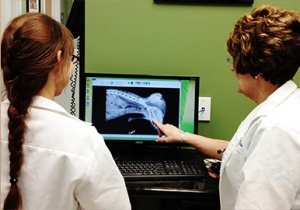 At TLC Animal Hospital, our team is devoted to you and your pet’s health. We measure our success by the satisfaction of our clients & patients and believe in the importance of the human- animal-veterinary bond. Our highly trained team is motivated to deliver compassionate, informative and complete pet health care for cats and dogs. Since opening our doors in 1996, TLC Animal Hospital has built a reputation for providing the top-of-the-line care for your pet(s) and personalized services at affordable prices in the Houston and Clear Lake area. Services include comprehensive wellness exams, senior wellness care, spay, neuter, vaccines, surgery, laser therapy, dental exams and cleaning, boarding, microchips and dog training. We carry a wide range of diets and treats, heartworm and flea prevention and dental care products. In addition to providing high quality medical care, our staff has also taken an oath to become a Fear Free Certified Clinic. This means that we will work hard to ensure that every time you visit the clinic with your pet the experience is as stress free as possible for both of you.